These are not good days for reality. They haven’t been for some time, but the old boy’s decline seems to be hastening. From all indications, people don’t have a lot of use for reality. As an entity, reality has been, as we were wont to say in the software world, deprecated. That means it’s still out there somewhere, but you’re discouraged from using it. It’s just as well. It’s getting as hard to recognize as it is scarce. The reality (there’s that word again) of the situation has been driven home for me most recently with the suddenly huge and profitable enterprise known as fantasy football. Fantasy sports have been around for a while, mostly played out among friends and co-workers. The lunatic fringe started getting involved. That was bad enough. Then it became Big Business, giving us all the gift of legalized gambling in all 50 states. The fantasy versions of sports have surpassed their reality counterparts in importance to many people. At least it’s called “fantasy” because it isn’t “real”. (Would that TV showed the same discretion, q.v. below.) Unfortunately, some people take it to extremes and trade reality in for fantasy. They forget the actual sport – or worse, interfere with the actual sport! – in favor of the fantasy version. 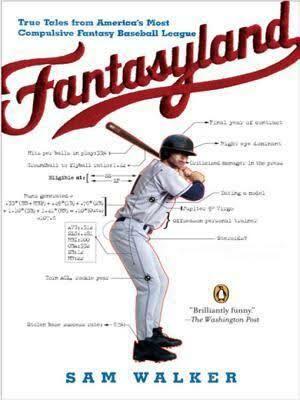 Read “Fantasyland” by Sam Walker for a glimpse at the insanity of it all in baseball. Worse is when we slap the word “reality” on things that are anything but. It should come as a surprise to exactly no one that I’m talking about so-called reality TV. And by reality I mean fantasy. How did that happen? In this case, reality refers to something that is surreal, absurd, contrived, and a slew of other qualities that are in reality (I mean it this time) descriptive of things such as fiction, fantasy, and general nonsense. Although this movie is based on actual events that may or may not have happened, none of the characters are real. The settings and dialogue have been fabricated for dramatic effect. Organizations depicted herein are not and have never been and most likely never will be real. The story has been twisted like a Möbius strip in order to maximize income for the producers. However, it is true that there once was a guy. a true story – This means what it says: It’s a true story. You will never see this claim. based on a true story – There was indeed a story once. The movie is a fictional retelling of that story. based on actual events – There were some events. One or two might have accidentally ended up in the movie. inspired by actual events – Forget about it. Any connection to reality is purely coincidental and probably a mistake. You could say this about “E.T.” It could have been inspired by the actual event of a kid who ate Reese’s Pieces and faked being sick so he could stay home from school. The last three posts (“The Night I Woke Up“, parts 1-5) were more of an exercise for me than anything. If learning was the primary purpose – and I believe it was – then it was a successful foray into the unknown. A rewrite is definitely planned, given that I wanted to change things almost immediately after I published each post. That’s the way the process works, after all. Writing live is a treacherous pastime, one that I’ll probably be foolhardy enough try again, hopefully not repeating the same mistakes. I’ll create new mistakes if there’s a next time. Some people might be disappointed by the ending. Nothing really happened, when all was said and done. Certainly, one small corner of a boy’s brain was indelibly etched with an unexplained incident. That alone might justify the story. The telling of a story is the revealing of a life. This one revealed a lot about a kid on the cusp of puberty facing the unknown in more ways than a mysterious visitor in the night. Perhaps the whole thing is just the creation of an overactive and highly susceptible imagination, passing itself off as memory. Who knows? I honestly don’t. I believe that what I wrote is exactly what happened. If it isn’t, no harm done.